Steam is important during the initial phase of baking most hearth breads. It facilitates oven-spring by preventing the crust from setting too rapidly, and enhances crust color. 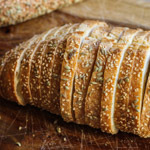 Breads baked without steam can taste fine, but the crust is likely to be a dull, pale grayish color rather than the rich brown most of us are after. Ready for a photo quiz? Hint: the top thing is not a peanut on steroids. I have spent way more time than I should have scouring books and online articles and discussion groups looking for the perfect way to introduce steam to my baking loaves. I’ve spent hours and hours, and more than a little money, trying just about everything. But in the end, it’s come down to two methods that work for me. The first is a home-made version of a La Cloche Brick Oven, made for a fraction of the cost. I got the idea from a contributor to The Fresh Loaf. The materials (one unglazed 10-inch terra cotta flower pot, one eye bolt, two washers, two hex nuts) were under $15. You can buy a lead-testing kit if you want to make sure the pot is lead-free. Two of these fit in my oven, and each can cover a 2-pound boule or small batard. I preheat them in the oven along with the baking stone. 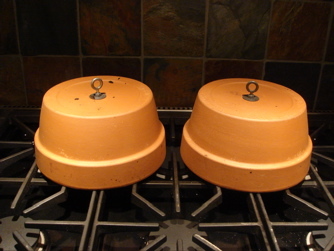 Then when the proofed loaves are loaded onto the hot stone, I immediately cover them with the preheated cloches. The moisture in the dough itself provides the steam; no spraying or other addition of water is necessary. The cloche simulates a brick oven, holding the steam close to the bread. The cloche is removed after the first 10-15 minutes to give the crust a chance to brown. This is my method of choice when I’m baking one or two loaves that fit comfortably under the cloches. Woman cannot live by boules alone, though. For those times when I can’t use the cloches, here’s what works: I place a shallow pan filled with lava rocks (the kind used for barbecue grills) on the bottom rack and allow it to preheat with the oven. It is as far forward and to one side as possible, with the baking stone a couple of racks above it. Two or three minutes before loading the proofed loaves, I throw a damp dishtowel into the oven and remove it just prior to loading the bread (tongs are good for this). This pre-humidifies the oven chamber. (I can’t absolutely swear that this does any good, but I think it helps.) Once the bread is in the oven I quickly pour about 3/4 cup hot water into the stone-filled pan and shut the door. An oven mitt is essential to keep my pouring hand from getting a steam burn, and a long-spouted watering can is a good idea too. After the first 10-15 minutes I remove the steam pan from the oven; although all the water may have evaporated, opening the door to vent the moisture is important. If I make any radical new steam discoveries, I’ll pass them on. For now, though, I’m pretty satisfied with these methods, until I can figure out a way to install a professional steam-injection oven in my house. I’m enjoying your blog. While your description of the lava rocks on the freshloaf was just fine, it’s always nice to see the picture. I definitely want a set of these! Thank you for visiting! I’m glad you liked the photo. I think the lava rocks work very well. The lava rocks idea is brilliant! Just before preheating the oven, I used to fill a broiling pan with water and place it below my stone. But I have become lazy and now I liberally spray the risen loaf with water just before putting it into the oven. It ruins any flour pattern but the bread still looks fabulous when it comes out of the oven. The lava rocks idea is not my own; I got it from an artisan bread DVD by King Arthur Flour. I have tried spraying the loaves, but for me the burst of steam provided by the pan of rocks works a little better for getting a nice opening on the slashes. I have heard of people cracking the glass in their oven doors by spilling water on them, though, and steam burns are really nasty, so be careful! Many thanks for the generous explanation and the lovely pics and breads 🙂 …I’ll come over for a slice regularly! I too have heard of the breaking glass and so always spray the loaves on the counter just before putting them in the oven. I use a Chapin garden sprayer with a metal wand that works by pressure (you pump the air out of the tank by hand) Model 2121 which is really too big (1 gallon) but at the time the smallest they made. Before loading my oven I spray spray spray, then twice or three times again in the first 5 mins. You will get lots of steam and beautiful golden crusts every time. Hi Norma, Thanks for the tip! I’m glad you’ve found something that works for you. I’ve tried spraying, but only with a spritz bottle, and that did not work too well for me. I’m guessing a garden sprayer would really generate some big-time steam. The only difficulties (aside from fear of being scalded) I have with spraying into the oven or pouring water into a broiling pan is loss of oven heat. Every time the door of the oven opens, it loses at least 25F. And if the door is kept open for longer, wouldn’t it lose even more heat? I like your site. My first Pain au Levain is rising as I write and thought I’d ask if you’ve tried the steamer that’s used for steam cleaning? There have been infomercials for them and are also sold on EBAY for about $30.00. Also Rose is big on this system that incorporates a cloche and steamer. Kinda pricey, a little over $200.00. Ira, I have tried a few of those steamers and have not had good luck with them. The “steam” seems more like a fine mist of water. 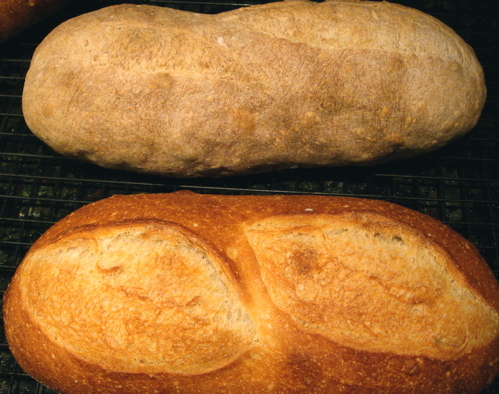 I’ve also tried the Steam Maker Bread Baker that Rose (Levy Beranbaum) likes, but I found I had to keep the oven door open so wide and for so long to do the steaming that I was worried the oven was cooling down too much, and I’ve had just as good results with the methods I described. Simple but effective for me. I hope your Pain au Levain turned out wonderfully! I too made a flower pot cloche which I use sometimes. I find it awkward to lift a hot pot though. Most of the time, I don’t use the cloche; but I’m even lazier than the other poster, I don’t even ‘brush’ the loaves with water, I just dip my hand in water and rub them! As you say, it doesn’t work with slashes, but otherwise it’s easier than risking a steam burn. Jonathan, I can imagine that your hand-dipped method works well if the loaves are not dusted with flour. I will try it. As for the cloches, very heavy oven mitts are definitely essential! I usually take a standard drinking glass and fill it about half to 3 quarters full of large ice cubes. Right before I put the dough in the oven I throw the ice on the bottom of the oven (wihtout the drinking glass, of course). If after 8 minutes I have too much steam in the oven I open the door a bit. This allows the steam to escape faster. I just tried your ice cube method, Jeremy, and it worked like a charm. Easy peezy! Great blog, by the way!!! Daniel, thanks for the suggestion. My only concern with using ice is that I was afraid it would lower the oven temperature too much. I suppose preheating to a higher temperature could compensate for that, though. Sorry, forgot to mention that. I actually preheat the oven to 480F. I have checked the temperature and it really doesn’t change much. A degree at the most. Since I am not using a large amount of ice, it melts rapidly. You have inspired me to pull my starter out of deep storage in the refrigerator and to get busy reviving it. The cloche idea is brilliant; I can’t wait to try it. should i use the bottom element only or both top and bottom? i though perhaps it’s best to use the bottom element as that would receive the water sprays which generate the steam. this website is such a revelation to me and i give thanks to all. len, the way I use steam the water does not hit the element, just the rocks in the pan. My oven uses both the top and bottom elements in bake mode. 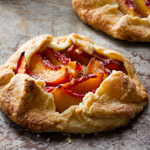 Experiment and find what works best for you, as all ovens are different. Thanks for reading! i baked over the weekend and the result was fabulous. i’ve never steamed before and now i know i’d always steam. i used just a caste iron roasting pan and no lava rocks as i live in nairobi and lava rocks are not available in the shops. also i used an all-steel thermos to decant already boiled water into the roasting pan when the pan is hot. this website is public service, pure and simple! IMO, Susan is a one of a kind master baker. Not only does she make a wide variety of great breads, but she has the smoothest way of explaining how she has done them. She is one rare person. Do you know the old saying? “Some teach but can’t ‘do’; others ‘do’ but can’t teach.” Susan does both extremely well. 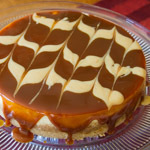 One need look no further for a better site to learn, grow, and hone your own baking skills. This post has just solved the problem of my pale baguettes! Good thing I was looking through your archives. Will work on the steaming!! I just made this bread, and it’s MY new favorite sourdough. I was too impatient to let it get sour, so I just did the 5 hour proof. I have not built up a large inventory of bread baking gear, so two loaves are in mini loaf pans in the fridge, and the other two I just made my best loaf on parchment, and allowed it to rise in a sheet pan. I then moved each to a hot pizza stone in the bottom of the oven, threw a few cubes of ice in the oven, and let er rip. The loaves are not tall enough for sandwiches, but it is delicious! This is excellent bread. My starter is also new, so I assume the flavors will further develop with patience in proofing, and as my starter matures. of course, I just posted this to the STEAM page, and not the sourdough page! I am envious of all the steam I’m reading about. I have used a home made cloche with good results. However, I have a gas oven which is constantly venting gas (as is necessary with a gas oven). So when I try steaming with a pan on the bottom of the oven, any steam I create just vents along with the other combusted gasses. Any ideas on how to get a gas oven really steamy? 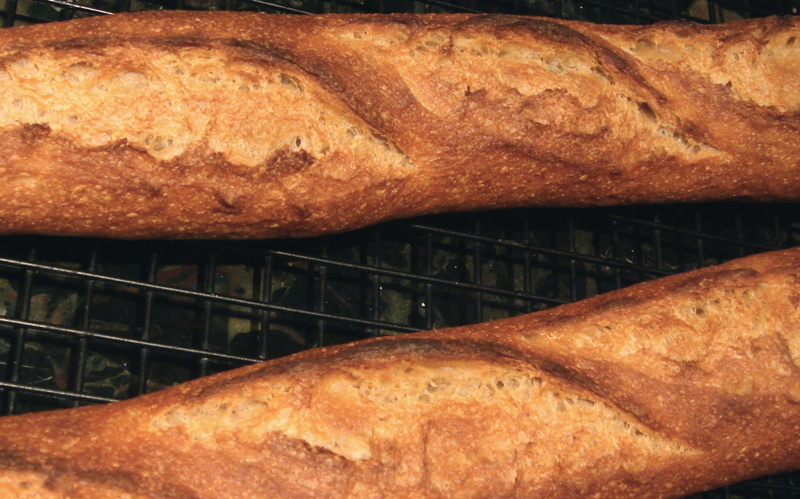 I yearn to make baguettes again! Ciabatta is really wonderful. This is our favourite bread, but rather expensive to buy – so your site is just in time 🙂 Daniel’s idea with ice for steam works very well – I tried yesterday. 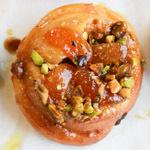 I use to do the bake off at a french bakery and when I throw the steam switch the temp always droped about 25 degree’s. This was SD being baked at 450, 25-30 minutes in a stand up oven and you could watch through the gass as the steam did it’s business. That was a long time ago. I’ve been looking for a way to steam in the home kitchen and I’m going to try the ice. PS, I love this blog. Oh perfect! exactly the info I needed. You can forget my questions on the “EVerybody must get a stone” post. Thanks for sharing! As much as I’ve looked at your blog, this is the first I’ve seen this page. I haven’t tried this method, but I know the best crust I get is when I bake in a enameled cast iron dutch oven so this makes sense. Seems that would be easier to move than the flower pot. 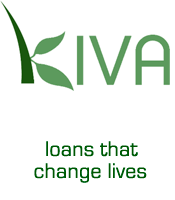 I have been searching for a long time for a better “home steam method” and it sounds like you have a couple of winners here. I will try these for sure. What is your current method for steaming? Your baguettes with dragon tails look amazing! Were they done in a home oven or in a more professional setting? Nick — home oven all the way! The steaming method was that outlined above: hot water poured over preheated lava rocks, with a good baking stone. Thanks so much Susan. Am going to try the stone method and hope it works for me. Guess if I don’t find the lava stones here in India, I could do with the other local variety? 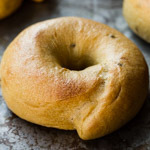 I used to throw 1/4 cup of water on the floor of the oven, but now I use preheated large enameled dutch ovens to hold the bread and uncover it after the first 12-14 minutes. I had to replace both heating elements in my Viking oven ($$$) because they were rusty. 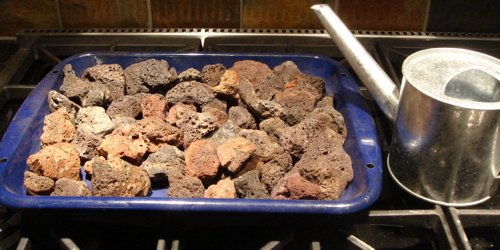 I like the lava rocks in a roasting pan though. The long spout on the watering can seems like a good idea too. Thanks! I made a wild yeast buckwheat caraway this weekend and was excited to try using my new steam cleaner to inject steam into the oven. It didn’t work well at all. The steam evaporated as soon as it hit the hot air of the oven and I wasn’t able to generate enough steam without keeping the oven door open too long. So I will go back to using the cast iron dutch oven or ice cubes. Hi Susan, I swear by the roasting pan method for steam. I like that it is so lightweight and works for a variety of loaf sizes (except long baguettes). I have also used an upside down stainless bowl with a metal handle screwed to the bottom. The flower pot steamer looks like a fun idea. Don’t forget a simple aluminum throw away turkey pan works good as well. Thanks for this post. I just found a clay cloche at a yard sale. How do I use it? I’ve been using a pan that I preheat with the oven. I pour hot hot water into the pan (hot water becomes steam faster than cool water) after I get the bread into the oven. Then I slide a lid onto the pan. The lid has a hole in it because I removed the knob handle. This caused the steam to pour out of the hole as a plume and distribute itself around my oven for an extended period. You can regulate the amount of steam by the amount of water added. I have been trying to determine if it is better than spraying the oven during the first few minutes of baking. I’m not convinced it has a big difference, but I continue to experiment. I just open the door and give it a few squirts with a spray bottle of water. Not great but not bad. I am new at bread making. I bought a long stone clotch with a stone lid to try artusan bread. No where in the instructions does it say I need steam with this. Even though the lid would be on, does the oven still need steam? Baffled…..need help! Arlene, as with my homemade cloches shown here, your cloche holds the bread’s own moisture close, so no additional steam is needed. what about putting a cast iron skillet in the oven when you preheat? then adding the water like you would with the rocks? I might try this I didnt know you needed the steam. Shelley, a cast iron skillet would work, too. They get good and hot. 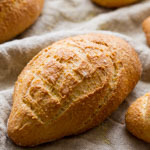 I would really like to try this method when I make your ciabatta! Jo, that may be a concern with some ovens. I cannot tell you that the moisture won’t harm your oven, especially if it has electronic controls. Proceed at your own risk. However, I have not had a problem with mine. This is what I do to generate steam in the oven. I boil water in a 2 qt. INEXPENSIVE enamel saucepan, filling it halfway. When it comes to a boil I place that in my Viking oven and turn on the oven to the temperature for that particular recipe. 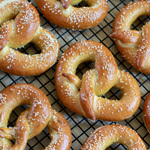 The water is already hot and begins to steam the oven immediately, and continues all during the preheating. When I place my loaves in the oven I check the ovenspring every MINUTE through the window, which occurs between 3-5 minutes depending on the hydration of the dough. I remove the saucepan after checking for complete rising, which takes between 8-15 minutes depending on the size of the loaf and hydration level. I learned this from my grandmother . Hi, I’m the same Jo from above (October 19 2012), just wanted to know if your own oven that you bake in is electronic/gas/wood-fired? I think when I do come to make the ciabatta, I will take a risk and use steam, the results are just too good to not! thanks a lot for clarifying this technique! I heard a lot about baking breads with steam and even saw a few ovens with steamers however I had no idea how long the steam had to act or how to bake the bread with it, now I finally made a “steamed” bread and the crust went out perfect as the pictures you posted, thanks a lot! I use a large oval roasting pan lid (purchased at a thrift store for $1.99) as a cloche….I use it exactly as Susan describes for her clay flowerpot cloches and it works perfectly. I can get 2- 1lb boules under it. Thanks for your wonderful blog. 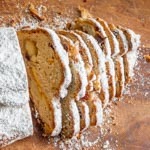 I’ve learned a lot and enjoyed many of your recipes – sourdough banana bread, and nigella seed loaf, etc., etc. I don’t remember having done that, but it certainly wouldn’t hurt if you did. And you’re welcome! blog, and I used to visit this weblog all the time. What about these fancy steam injection ovens? I’ve got one but I still put a pot of clay with boiling water inside the oven 15′ before baking. I think it works. I love the lava rock idea, but don’t trust myself to be lifting anything hot and heavy. One of these days, I may gather the nerve. Meantime, my version of the steam oven is to use an inverted steel bowl on a baking stone. So far, so good! I have a wild bread cook book that uses ice cubes in a cast iron pot placed on the bottom oven rack under the stone. I have used this method with my enameled broiler pan. It works pretty good.